Since version 5.9, Chess for Android supports the Certabo board directly! 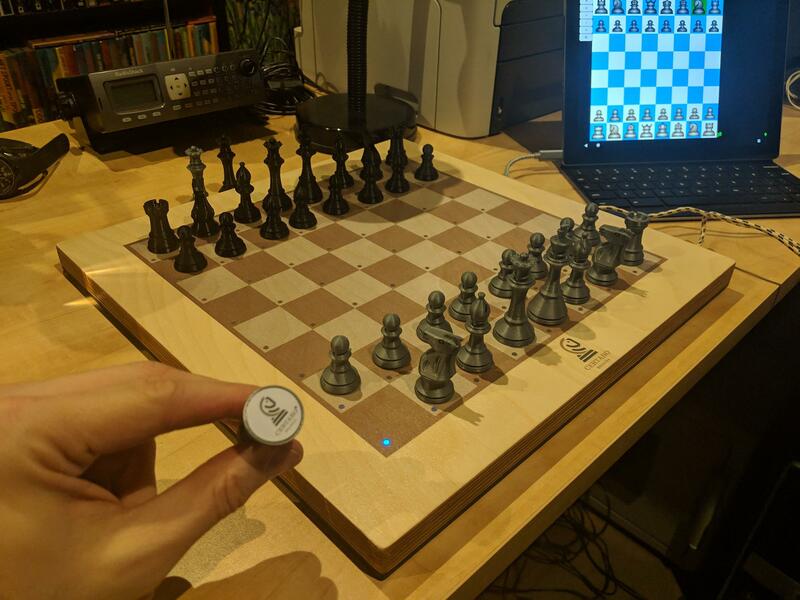 Just plug in the USB to your phone and tablet, match the pieces on the electronic board with the pieces on the GUI's chessboard (either the starting position, or any other position), and start to play. During a (minor) promotion, any of the unused chips will automatically be identified as the promoting piece. Did a mismatch occur? No problem, just reconnect and continue playing, the boards will match automatically. More details on this Certabo page or in this instructional video on YouTube. Thank you very much for your effort to link Certabo chessboards to your wonderful app and thanks for joining the forum! First thing today was playing on new 5.9 release. I'm sure many chess friends will appreciate your support here. It has been my pleasure Pietro! I am already working on fine-tuning the implementation based on some early user feedback. If people are interested in joining the alpha channel of Chess for Android (which means you will see a pre-production version on Google Play to get the latest fixes and improvements much quicker), please drop me a private message or email. You can always opt-out of the alpha channel later if you are no longer interested, but want to see the production version only. Chess for Android can now also be used as an interface to FICS (Free Internet Chess Server), either directly or while connected to a Certabo board to play over an actual chess board with people online. Thank you very much for the update and great support to our boards! That's great news, and also what I had been really hoping for! Aart, do you have any plans for Lichess? Actually, I have a question. When using Chess for Android, is it possible to set up a position to continue from, or must it start from the standard setup each game? Absolutely. First, make sure Chess for Android has matched all the identifying chips with the chess pieces, for example, using the initial position and possibly by switching the additional queens one time. Then, to set up a position, long press the notation window, pick "Position Setup", after which Chess for Android continuously syncs its internal board with the electronic board. After pressing "OK", the game can proceed from the given position (if valid). Not directly. For now, I want to focus on making FICS work really well, and I have a good relation with the FICS team who kindly allowed me to setup a testing account, which was really helpful during the initial testing.